The following list is not an inclusive list of Big Bear vacation rental expenses. 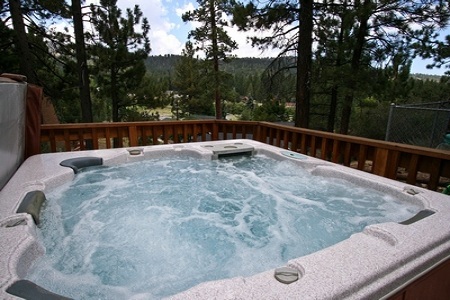 For additional information in owning a Big Bear vacation rental, please call us and speak with our experienced staff. Vacation rental properties must be registered with either the City of Big Bear Lake or the County of San Bernardino depending on location. Destination Big Bear will arrange the inspections and complete any mandatory updates. You may or may not be notified, depending on the extent and cost of the update, prior to the completion of the work and will see charges on your statement. Destination Big Bear does not profit on any items that need updated to meet code. We have resources to have items fixed, or you can hire your own contractor if you prefer. Before any home can be rented, it must be inspected and pass with both Bear Valley Fire and either the city or county. You can reach the city at (909) 866-5831. 2) General House Cleaning for your guest’s $60-450 depending on size of home (The home owner is charged the hourly rate of what we actually are billed from the cleaner. However, if you book to your guests/tenants – the fee is the normal tenant fee – this helps to cover our losses from stained linens that occur often. An opening: Preparing your home for a guest’s arrival – Turn some lights on, water on, heat turned up, water heaters turned up, hot tub turned up. A closing: A proper close is done to check for damages/missing items; check for cleanliness of home; turn off lights; heat down; turn water heater down; lock doors/windows, etc. 5) Snow Plow: $30-175 per removal as needed depending on amount of snow and size of driveway. Along with additional fees for hand shoveling decks, walkways, etc..
6) Laundry services – A fee for laundry services will be charged to the homeowner if the house does not provide laundry services on-site OR is not in good working order. Commission is higher for those homes that do not offer laundry service. Prices are subject to change by each vendor without notice. Damage deposits are collected at time of booking to cover extreme damages and circumstances. Light bulbs and batteries will frequently need to be replaced. Pool sticks and tips break and will need to be replaced. Foosballs, ping-pong balls, paddles, and other game pieces will need to be replaced. Carpets will need cleaning usually several times per year. Vacuum cleaners can stop working for guests. Destination Big Bear housekeeping provides their own equipment for cleaning. Toilets will become stopped up and possibly flood the bathroom. Furnishings will become stained and need cleaning or replacing. Kitchen tables get dents, scrapes and gouges. Kitchen chairs become loose on a regular basis and require Gorilla Glue and screws. Garbage disposal will become jammed and eventually need to be replaced. A deep cleaning will be needed about 2 to 4 times per year. Weed abatement and yard clean up required by the city twice a year. Propane grills are not recommended due to frequent propane tank replacement. It is recommended to have 2 tanks on hand. Charcoal grills are preferred. Window cleaning and screen replacement is frequently required. Paint for touch-ups is recommended for inside and out.